The new Jetta GLI packs gobs of performance goodies borrowed from the Golf GTI and R.
Topline: The Jetta GLI is more capable (and refined) than ever thanks to handmedowns courtesy of the Golf GTI and R. Riding on the new MQB platform, it's also got the agility to back it all up. What's New: Volkswagen completely overhauled the Jetta in 2018. Now, the spicier GLI or, more affectionately known as "the GTI with a trunk," is back for 2019 packing plenty of performance goodies borrowed from the Golf GTI and R.
Like the previous generations, the new GLI sedan has the heart and soul of the GTI and ups the performance threshold with more power and sharper handling. 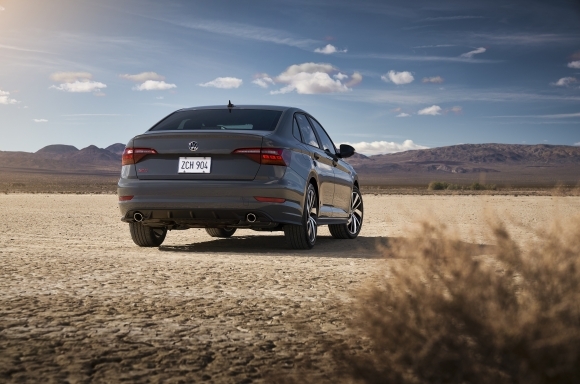 The 2019 GLI is powered by VW's ubiquitous 2.0-liter turbocharged four-cylinder engine which produces a healthy 228 horsepower and 258 pound-feet of torque. The engine is mated to a six-speed manual as standard, and a seven-speed dual-clutch automatic transmission is available as an option. 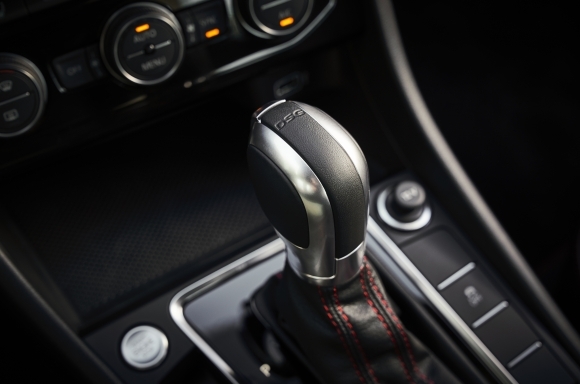 GLI models fitted with the DSG also come with an automatic stop/start system. In order to differentiate the GLI form the lesser Jetta models, VW has fitted the performance sedan with aggressive front and rear bumpers, 18-inch aluminum-alloy wheels, a black honeycomb grille, rear spoiler, and dual chrome exhaust tips. 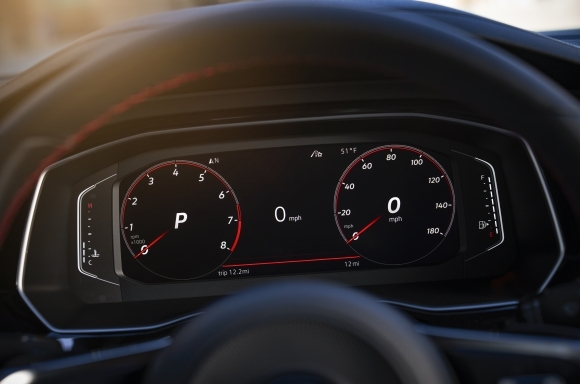 Standard features in the GLI consist of front and rear LED lighting, 10-color customizable ambient lighting, dual-zone climate control, front assist, blind spot monitor, and rear traffic alert. 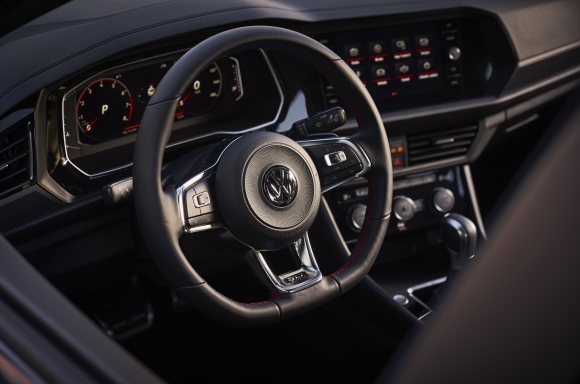 Optional features in the GLI include Volkswagen Digital Cockpit with unique GLI graphics, panoramic sunroof, heated and ventilated leather seats with memory and lumbar support for the driver, DCC (Dynamic Chassis Control) adaptive dampers, and Beats Audio sound system. A 35th Anniversary Edition features unique black wheels with a red stripe in addition to a black roof, mirror covers, tail spoiler, and 35th Anniversary badging inside and out. Peek into the cabin and you'll find the steering wheel, shifter, armrest, and floormats highlighted by splashes of red. Cloth seats come as standard in the base GLI, but leather can be found in higher-optioned models. 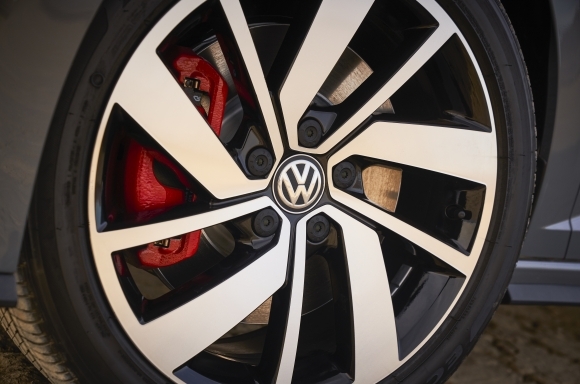 The Jetta GLI gains the same 13.4-inch diameter ventilated front brake discs found in the Golf GTI and R. Like the GTI, the Jetta GLI is fitted with VW's VAQ electronically controlled, torque-sensing, limited-slip differential and variable ratio electric steering. DCC adaptive dampers are standard on the 35th Anniversary GLI models. 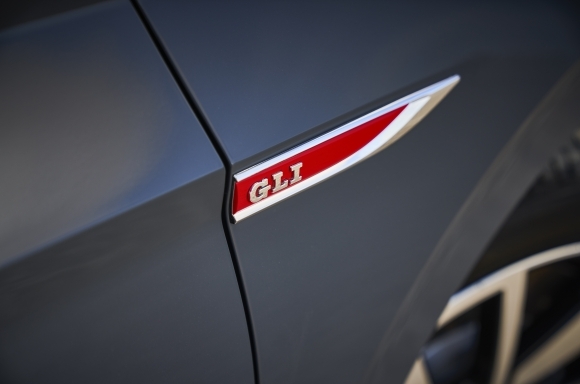 The GLI comes standard with four driving modes: Normal, Sport, Eco, and Custom. Jetta GLI models equipped with the adaptive dampers and the 35th Anniversary model gets a fifth "Comfort" mode. 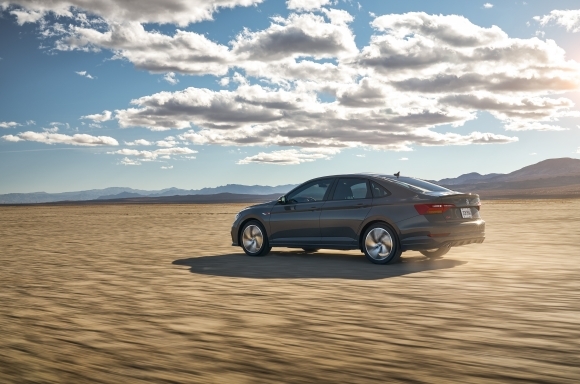 Like the standard Jetta, the GLI features a host of active and passive safety systems. Safety features like forward collision warning, autonomous emergency braking, blind spot monitor, rear cross traffic alert, and automatic post-collision braking system are standard. Quotable: "Volkswagen has long been synonymous with small, sports cars," said Scott Keogh, VW Group of the Americas CEO. 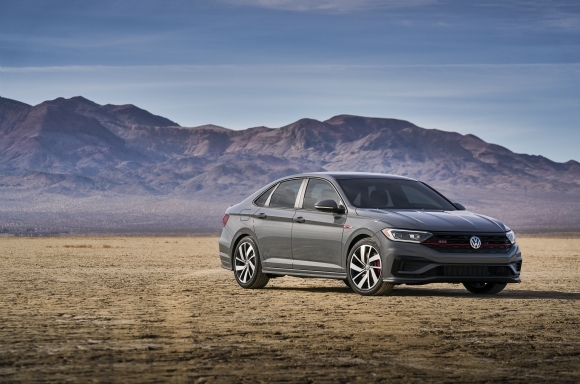 "The redesigned 2019 Jetta proved once more that its combination of design, technology, and value continues to resonate with buyers. The 2019 GLI takes the Jetta platform and adds performance features from the Golf GTI and gives buyers a true sports sedan." What You Need To Know: The 2019 Volkswagen Jetta GLI will start arriving at dealerships in spring 2019. For peace of mind, all VW Jetta GLI models will come standard with six-years or 72,000 miles limited bumper-to-bumper warranty.